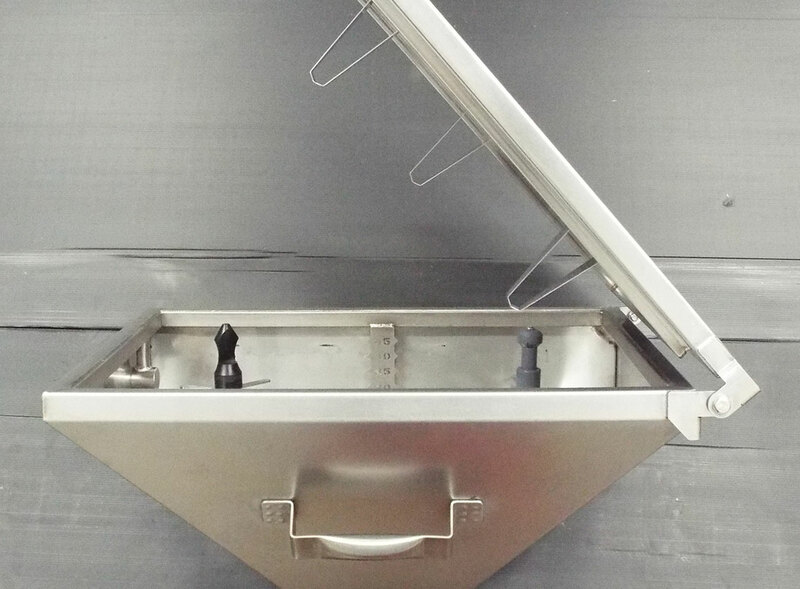 Constructed from grade 304 Stainless Steel our hoppers are designed to transfer agro-chemicals, micro granules and powders. 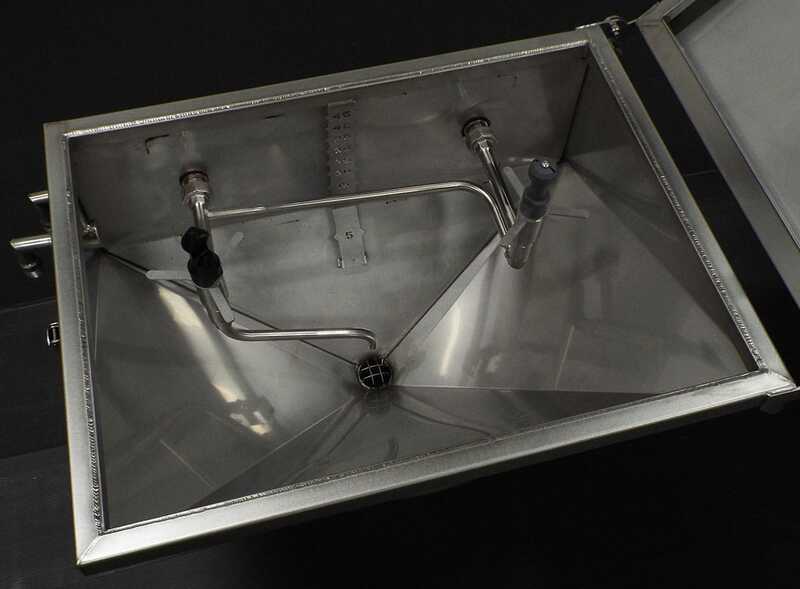 All hoppers are fitted with a Can Wash Valve and Hypro Proclean Nozzle as standard. Other Nozzles are available on request. Lids and outlets can be orientated to suit customer specification. 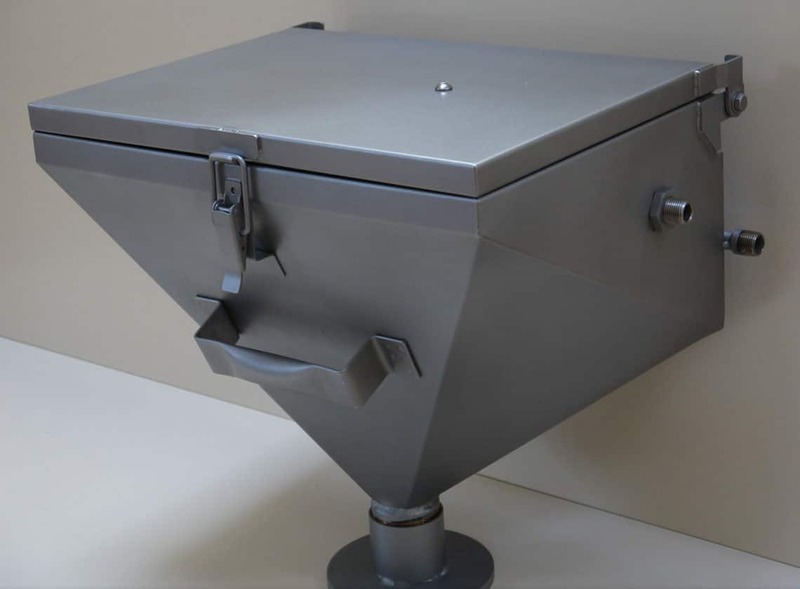 As seen above we produce a wide range of chemical induction hoppers for a variety of suppliers and customers. These can be seen on machines made by most of the major crop sprayer manufacturer’s. 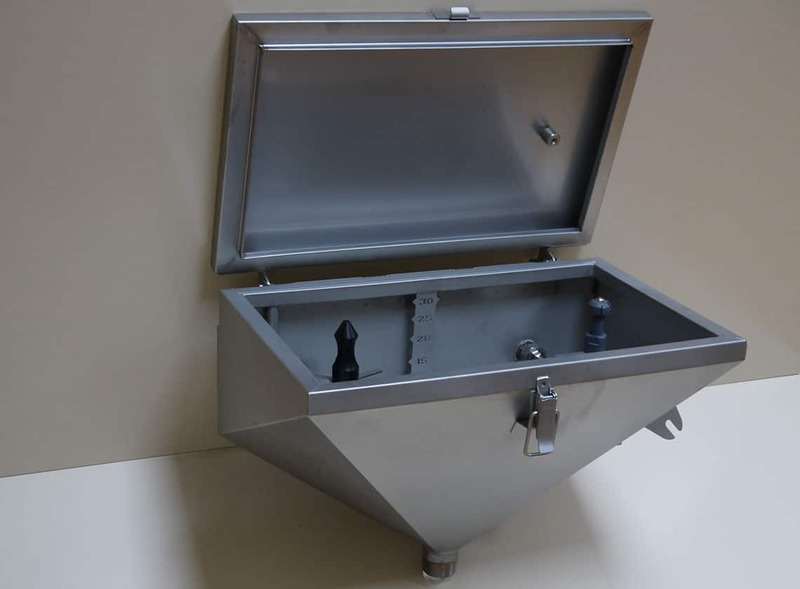 The Watson & Brookman Can Wash Valve has been specifically designed and manufactured in house for this application. 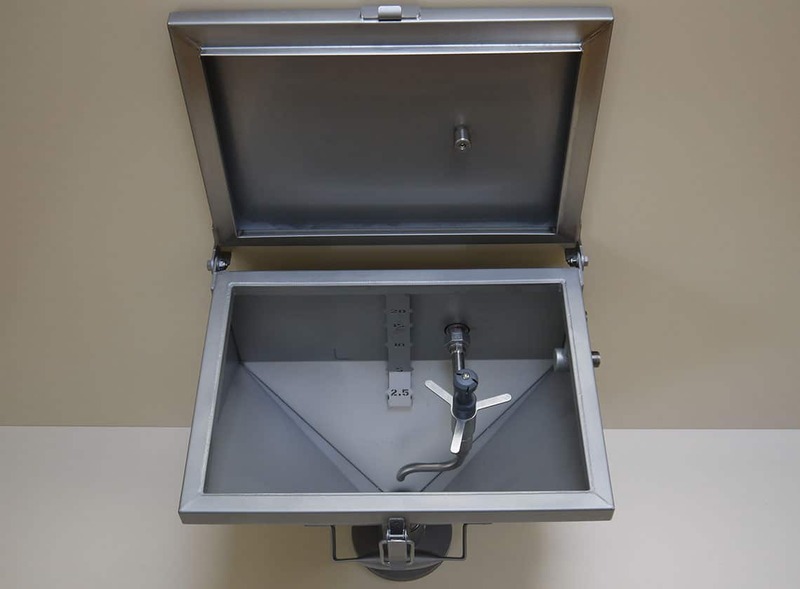 It features a uniquely designed bypass valve that means minimal force is required to operate the valve regardless of pump pressure. 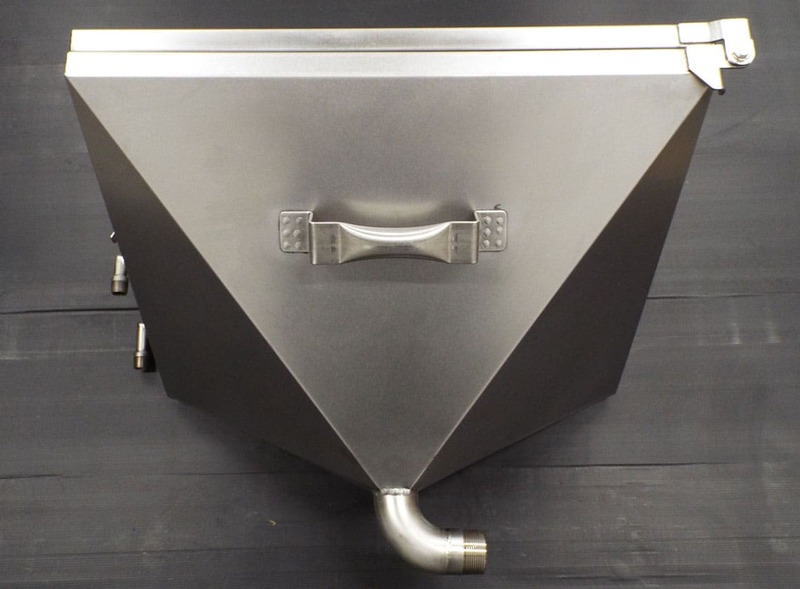 With the facilities available at Watson & Brookman we can produce bespoke hoppers to specifically suit the customer’s needs, please contact us for more information.